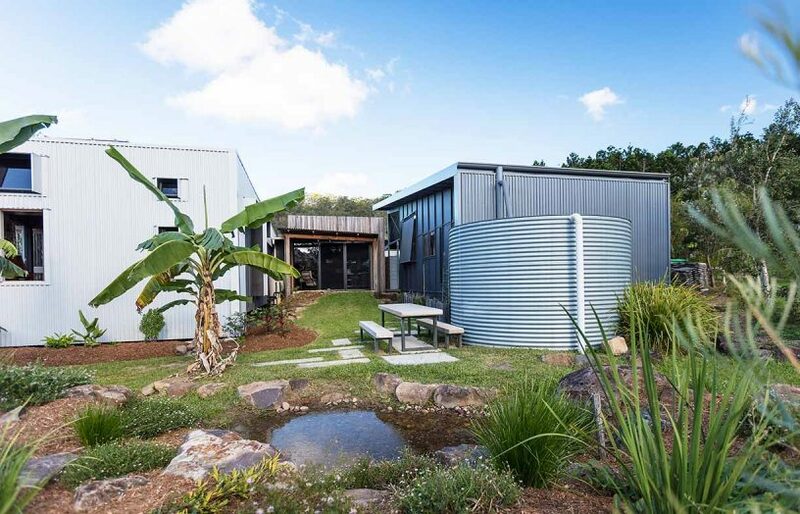 Jeff Knowles has over-sized his PV system and added batteries to his passive solar house by Strine Design in the ACT. He now has the ability to run his air conditioner from solar, day or night. Cooling your house using your rooftop solar system requires a bit of thought and planning, but when you get it right, the savings can be well worth it. Imagine it’s a hot summer evening. You’ve just arrived home to a stifling hot house. Your solar photovoltaic system has wound down for the day, but nearly all that generated energy was of little immediate personal use since you weren’t home. So, how can you improve the usefulness of you solar photovoltaic (PV) system for cooling in summer? Assuming you already have a powered cooling system, then your options are broadly either: pre-cooling you house during the day to mitigate the need to use air conditioning once the sun goes down, or adding battery energy storage. To use our cooling systems optimally with our solar we need to understand the capacity of each. After all, if your aircon draws, say, 10 times the power that your solar can provide, then this question is moot because we’ll end up taking most of the energy from the grid regardless of what the solar provides. Aircon systems have a rated capacity in kilowatts (kW). However, this is watts of thermal power, not the electrical power level that the system will draw. 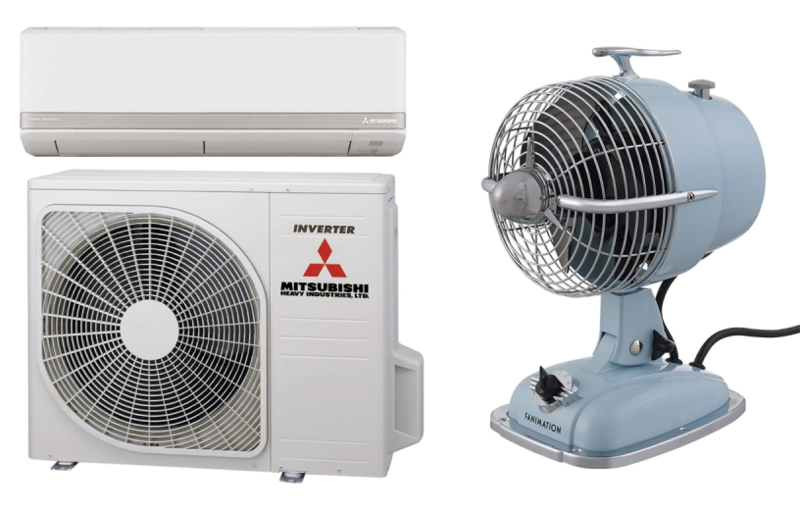 Generally, the maximum electrical power that an aircon will draw is (approximately) the rated thermal power divided by about three to five (the coefficient of performance). For example, a 6kW aircon unit with a coefficient of performance of three will draw electrical power at a maximum of 2kW. Solar PV systems also have a capacity in kilowatts. This capacity is the peak electrical power that the system can generate, which might correspond to midday on a sunny day for north-facing solar panels. To make best use of our solar PV system, we want to consume all of its generated energy within the home. Surplus solar energy is exported to the grid, not wasted. However, it’s much more cost effective to use that energy within the home because the benefit to the homeowner of exported energy is small, unless they have one of the older high-rate feed-in tariffs. Figure 1. An in-home display shows a negative power value to indicate exported (surplus) energy, and can be a convenient way to monitor your system. Just because the solar panels are generating, doesn’t mean there is necessarily surplus power for optimal pre-cooling. Making the right choices for pre-cooling depends on knowing, at any time, whether there is surplus solar power. 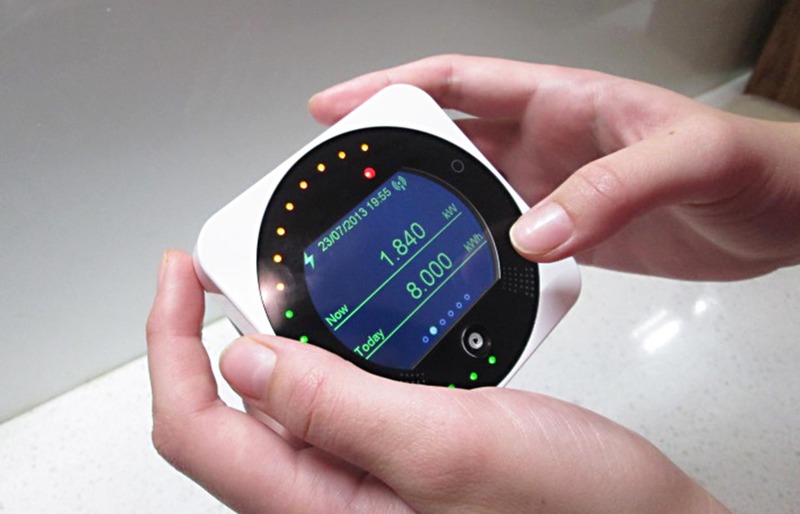 This requires something like an in-home display (IHD), sometimes referred to as an ‘energy monitor’. An IHD communicates directly with the home’s meter box to measure and display the flow of electricity in or (with surplus solar) out of the house. An IHD will normally show a negative power level if the home is exporting surplus energy. Examples of general-purpose IHDs are Efergy and Watts Clever. Pre-cooling is using your cooling system earlier than actually needed for comfort to make best use of your own free solar electricity when it’s available. In a sense this approach is storing the solar energy as useful coolness of the home. The usefulness of this approach depends on your home’s thermal envelope. For example, if your home is able to keep out the hot summer sun, and it’s made of (reasonably) heavyweight materials, and it doesn’t have too many draughts, then it will be able to hold on to coolness introduced by your cooling system for long enough to be useful after the sun goes down. If one or more of these things aren’t true for your home then chances are your home will lose its thermal comfort quickly on a hot day once the active cooling is removed. Perhaps it’s also worth mentioning that if your home has a great thermal envelope, then the need to pre-cool is probably less to begin with. On a hot day, you need to choose the time for pre-cooling based on need (that is, how hot it is) and whether you have surplus solar energy. So, in our scenario we want to be able to turn the cooler on to use the useful solar PV, but we don’t want to be wasteful by having the system operate any longer than necessary. Getting the timing right should be easy if you’re home – just turn on the cooler as required to use your solar energy to pre-cool. However, if you’re not home then that’s not so easy. So, the challenge is to activate your pre-cooling when you’re not at home. Today, many modern cooling systems come with their own app-based control and wi-fi connectivity. Alternatively, there’s a plethora of third-party control systems, sometimes known as ‘smart thermostats’, that can provide smart activation of your cooling and other things, including when you’re not home. Some smart thermostat systems we know of (in no particular order) are Sensibo, Nest, AdvantageAir, iZone and Airtouch. These work with many, but not all, existing aircon systems. These smart thermostat systems let you activate your home’s aircon before you get home. However, they don’t, by themselves, let you do it in a way that is mindful of whether you have surplus solar energy at any given moment. So, if the goal is to selectively use only surplus solar energy to cool your home then one way is to combine a smart thermostat with a smart solar and battery power controller called a Reposit Box, along with a web-based service called IFTTT (if this then that). The Reposit Box knows when you’ve got surplus energy and can signal that to the IFTTT service. Then an IFTTT-enabled smart thermostat such as a Sensibo can trigger the aircon based on your solar. Combining a Reposit Box with a Sensibo smart thermostat with IFTTT can enable smart pre-cooling. Our goal is to make best use of our available solar energy to lessen the need to buy grid energy for cooling. The other way to have solar energy available after dusk is to store it in a battery. Home battery systems are becoming widely available and increasingly affordable. 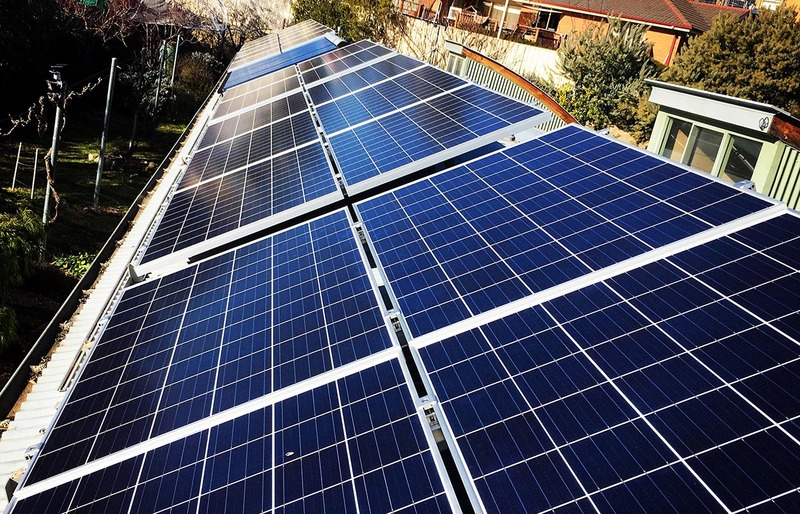 It’s beyond the scope of this article to look at home battery systems in any detail [see instead Renew’s dedicated solar + batteries pages including buyers guides available on the website]. The most basic capability of a home battery system is to allow delayed access to solar energy. They also bring other useful services to homes and to the grid as a whole. 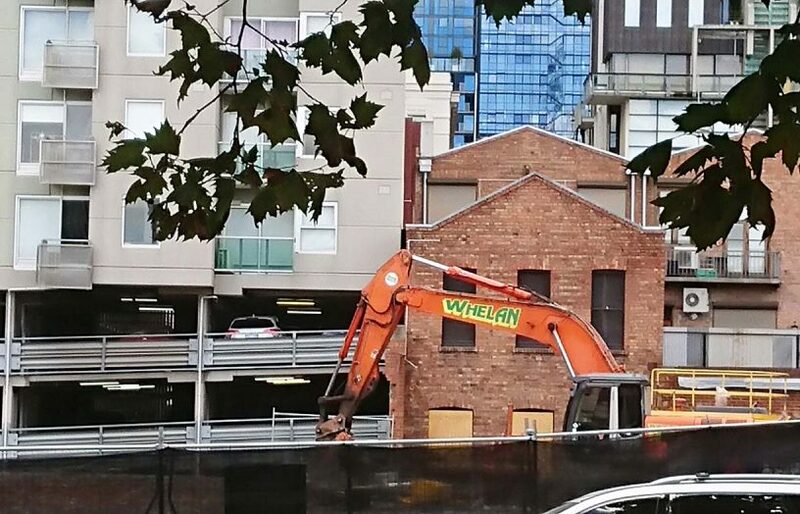 Deconstructing buildings to salvage materials is less common than demolition for landfill – but could this be about to change? 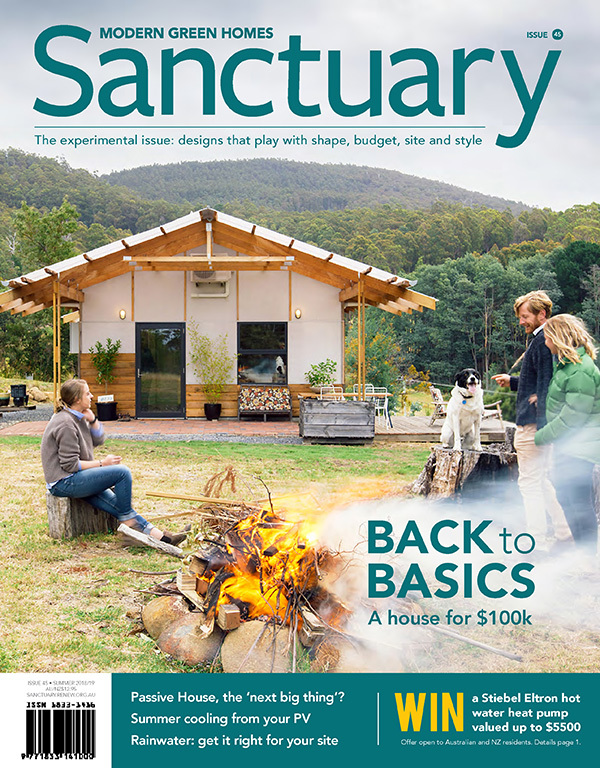 Five years ago we featured a house in the Currumbin Ecovillage on the Gold Coast that was designed using three pavilions to accommodate two households in a co-housing arrangement. How is their experiment evolving? We revisit to find out. Renew magazine's cooling buyers guide gives you all the info on effective shading, ventilation, fans and efficient air conditioning. 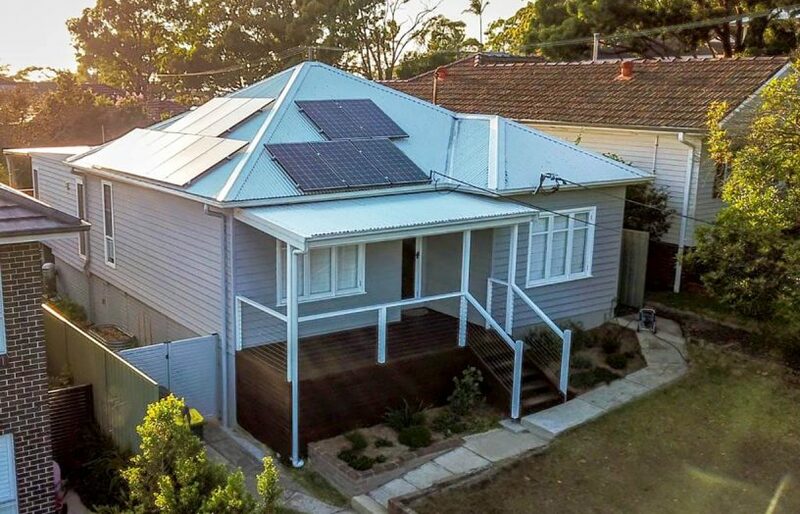 One of six case studies in Renew 147 highlighting how householders have tackled energy efficiency in their homes around Australia. 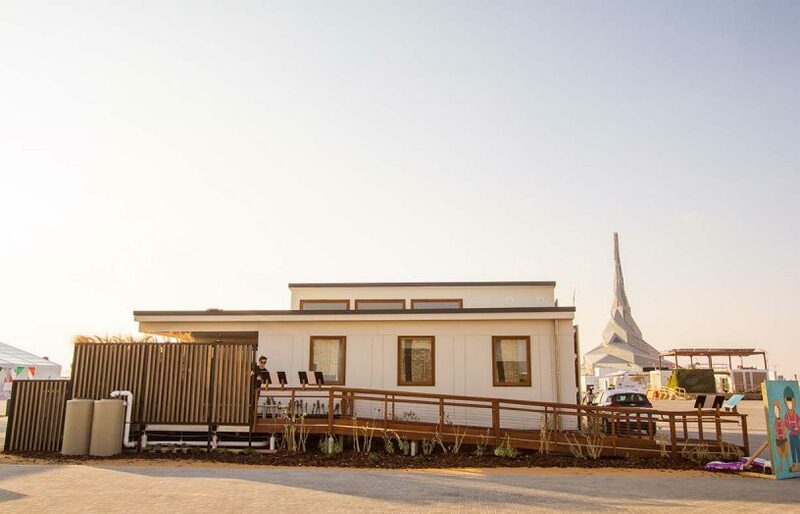 An Aussie net-zero energy house takes on the competition in Dubai, bringing home an impressive second place overall in the 2018 Solar Decathlon. These high school students learnt how to test for air leakage and become proficient DIY-installers—leading to great results for the homes involved, and benefits for the whole community.